Home / Archive by Category "Artisan Marketplace"
Teresa has been making jewelry since 1993 and her most recent love has been working with the element copper. 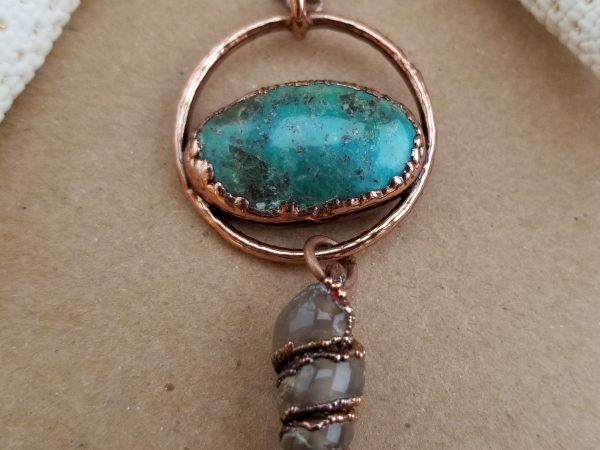 She has been working with copper for the past five years now, and loves the rustic, boho feel of the pieces she creates. She incorporates wire wrapping, soldering, and metal forging and for this past year has enjoyed electroforming with copper. She loves choosing gemstones to create for her favorite sellers online, and in person when attending gem fairs. Rusty Sand Jewelry will be at the ENC Artisans Marketplace on December 2! 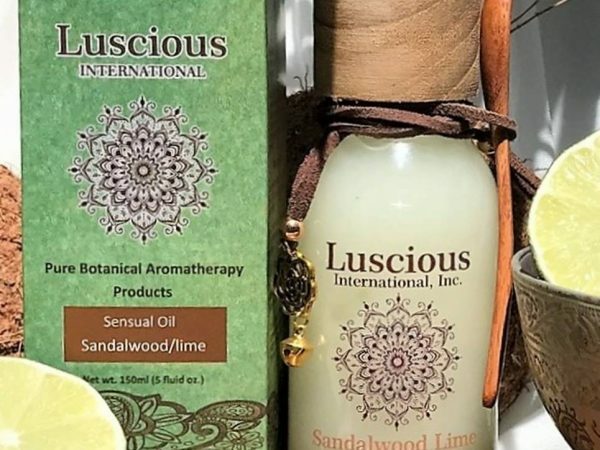 Diana Daly, founder and creator of Luscious, offers pure botanical, all-natural and organic anti-aging/skin- moisturizing products. Her goal is to develop products that are not only non-toxic, eco- friendly, and anti-aging, but that also are healthy and beneficial in promoting all-around wellbeing from the outside-in. These are products for anyone that believes in a natural, organic, and environmentally-friendly way of life. Julia has been an award winning professional seamstress for over 20 years. 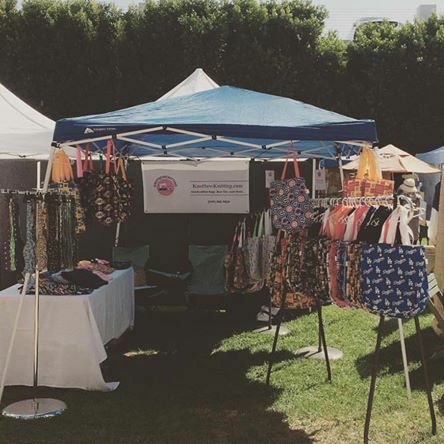 She has been teaching for over 30 years, and in her spare time, she enjoys crafting reusable bags, clutches, and bow ties using fabric which someone may find as a theme to express their unique personality. 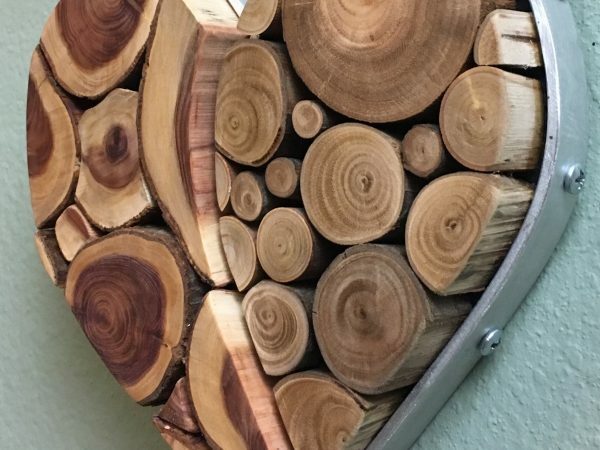 The family business is located in Newport Beach, California, and prides itself on its dedication to professional craftsmanship and attention to details. 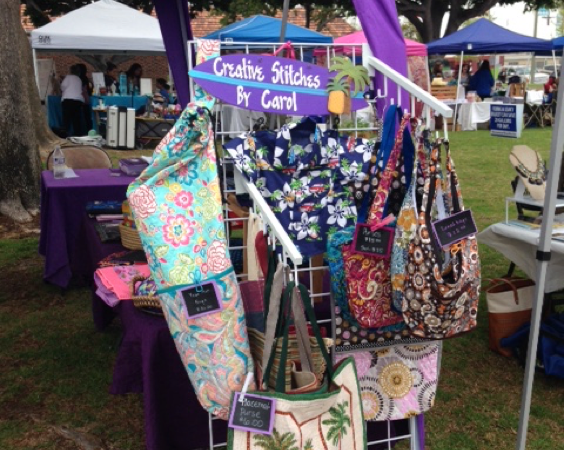 Carol Hamelberg is a resident of Huntington Beach, CA and started making crafts for sale in 2013. She has been sewing since she was 6 years old and made most of her clothing in high school. She loves to sew crafts and is always looking for new ideas and patterns. Her handmade creations have been sent to customers throughout the United States and internationally. 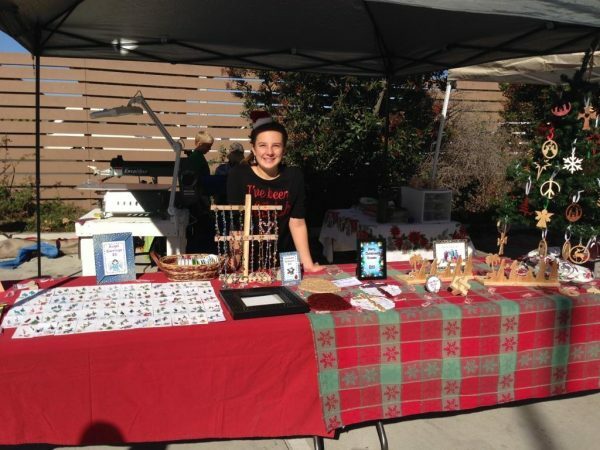 She attends local craft fairs as far north as Torrance and enjoys meeting her customers face to face. She loves sewing and being able to share her products with friends, family and new customers. She has made many custom orders and will personalize your order. Artistique Studios Artistique Studios is delighted to present an array of art, jewelry and accessories that are perfect for holiday gifts. Award-winning artist Katie Gerlt, who has won many prizes at the E.N.C.’s own children’s art contests over the years, will offer her collections of art prints, note cards, clay charms, figurines, and Christmas decorations for sale. Her Sea Life Collection of note cards benefits the Pacific Marine Mammal Center in Laguna Beach. 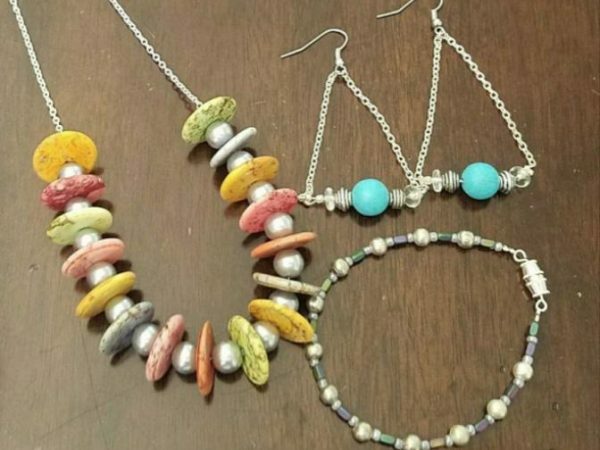 Her mother, Linda will have handmade jewelry and accessories for sale. Kār Bear Creations I’m Karis Jay Simons, a 17 year old jewelry designer. I’ve been designing for the past 2 years, and it’s become a passion of mine. 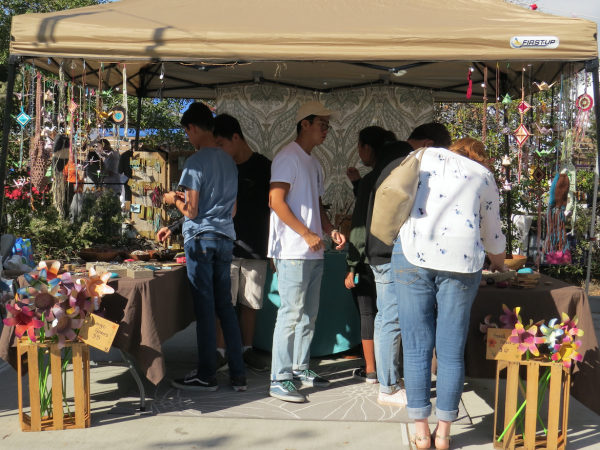 Last year I participated in the ENC Marketplace and had a great time…. After working as an Archaeologist, Roxanne began to explore her fascination with jewelry and embarked on a journey to create some of her own pieces. 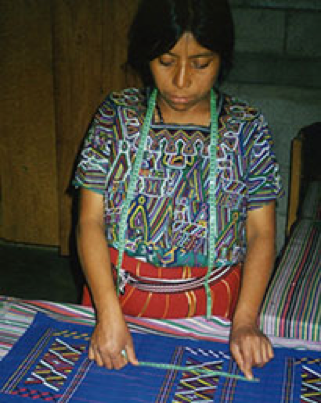 She is learning new techniques all the time and is influenced by primitive designs from the ancient past, as well as the natural world and its raw organic nature. She also likes to incorporate weaving, knotting, and beading into some of her homespun designs. Her art, similar to her, is constantly changing and growing. 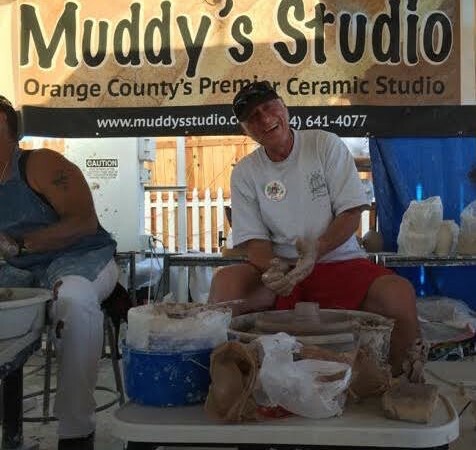 by Angelica Camacho, ENC Communications Intern With a career that spans over 50 years, Tom Greeley has built a legacy with his ceramic art. Greeley began his career by creating art pieces in college and from there, he made art wherever he could find the means to do so. From his experience in ceramic art, Greeley decided to make ceramic pieces that were as beautiful as they were useful. Greeley now sells his products at different fairs and on etsy.com to raving reviews. 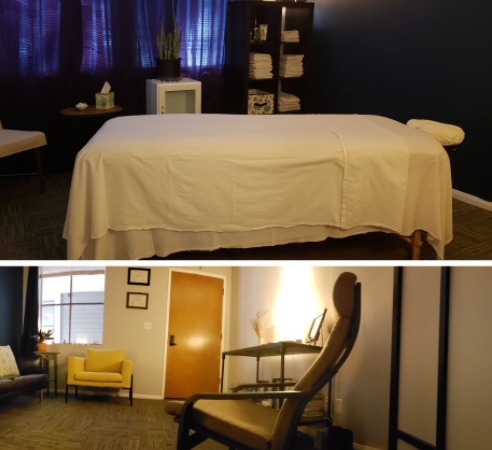 Fifteen years ago, Greeley hit a lucky break and has been since able to use equipment from the Oasis Senior Center in Corona Del Mar and Huntington Beach Adult School. After having this breakthrough, Greeley looked to give back to the community….